The IGNITE NXT Disc golf shoe from Puma is the latest in the iconic IGNITE spikeless line. 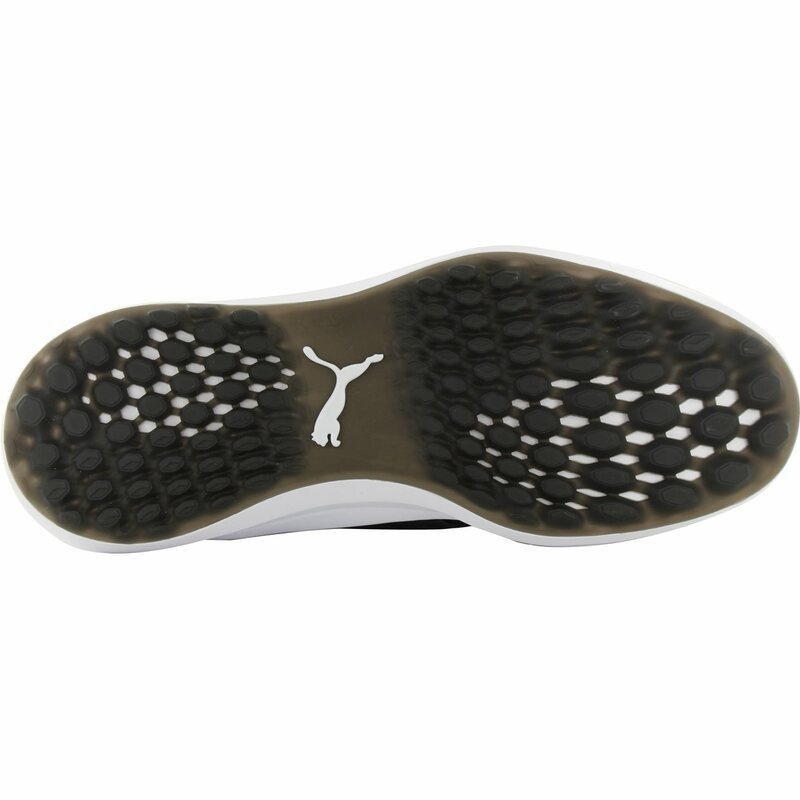 The Pro-Form TPU outsole is built with an organically-altered traction pattern for greater control and stability. The full-length IGNITE Foam midsole provides extreme comfort and energy return, with SoleShield TPU for extra durability. The flat-knit waterproof upper is stabilized with PWRFRAME, an ultra-thin TPU frame for lightweight support and increased balance. 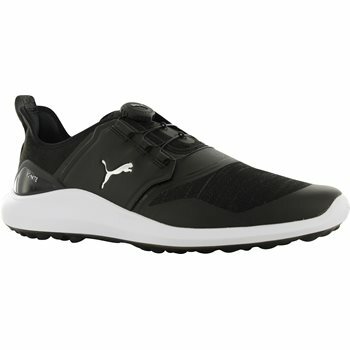 The shoe is incorporated with PUMA’s DISC technology offering quick, easy, and secure fit with micro-adjusting dial system that easily secures your foot. DISC - DISC provides ultimate performance and unrivaled comfort with a micro-adjusting system that quickly and easily secures your foot for a locked in, consistent and custom fit.